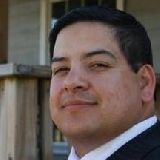 Justia Lawyer Directory Search for "Bennett H Webb"
Search for "Bennett H Webb"
As the founding attorney at the Law Office of Jesse Hernandez, San Antonio lawyer Jesse Hernandez handles criminal defense case. He is a former Webb County Assistant Public Defender who served as a partner at Bennett & Hernandez before establishing his own private practice. In 2010, Scene in SA Magazine listed him as one of the best criminal defense lawyers in San Antonio. Additionally, he is the recipient of a Superb 9.2 Avvo.com rating. He received his Juris Doctor from St. Mary’s University San Antonio School of Law. To receive your compliment consultation, contact his firm today.